Can Toxic Mold Exposure Cause Health Problems? Molds have the potential to cause health problems. Molds are usually not a problem indoors, unless mold spores land on a wet or damp spot and begin growing. Molds produce allergens (substances that can cause allergic reactions), irritants, and in some cases, potentially toxic substances. Mold spores are ever-present in the air. Under ideal conditions, these naturally occurring and very resistant spores can take root in your home or workplace, or in your food. Molds make toxins (mycotoxins) that can change how you feel, how you think, and even how long you live. Everyone is most likely at risk for toxic mold exposure, regardless of your geographic region, climate, socioeconomic status, race, age, or gender. As with most other medical challenges, awareness is your most powerful weapon. About 25 percent of Americans are genetically inclined to experiencing serious illness from toxic mold exposure. Exposure to molds have a variety of health effects depending on a person’s level of sensitivity to molds and their span of time they are exposed and the nature of exposure. 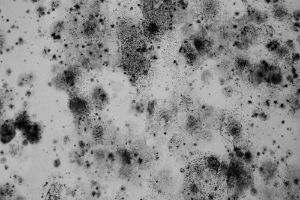 Breathing in or handling mold or mold spores may cause health problems such as allergic reactions in vulnerable individuals. Allergic responses include hay fever-type symptoms, such as sneezing, runny nose, red eyes, and skin rash (dermatitis). Allergic reactions to mold are common. They can be immediate or delayed. Molds can also create asthma attacks in people with asthma who are allergic to mold. In addition, mold exposure can irritate the eyes, skin, nose, throat, and lungs of both mold-allergic and non-allergic people. Symptoms other than the allergic and irritant types are not commonly reported as a result of inhaling mold. Because mold toxins are so unique and their effects are so extensive, symptoms of mold toxicity are complicated and varied, making it challenging for medical professionals to arrive at the correct diagnosis. What is the Cost of San Diego Mold Removal?